Growing up across two continents gave Nick Scott a unique perspective. Spending much of his early childhood living near the mouth of the Amazon river he developed a love for exploration and mangos. Back in Canada, at 5 he began working with his father as an “assistant” tour guide in the family company and became, for a time locally renowned as the “World’s Youngest Tour Guide”. Eventually conducting tours of the lower mainland and Vancouver Island on his own. In 2012 he launched the walking tour division of Wild BC Tours and has managed it ever since. When it came to sport, he tried Baseball, Soccer, and Hockey but they weren’t for the young Nick. He found a passion instead in Cross Country Sports and Track and Field. Not feeling fulfilled though he began to shoot competitively at age 12. He discovered his talent for marksmanship eventually working his way up to joining an American National team for Speed Steel Challenge. Playing with his father’s cameras at a young age he discovered a passion for photography, this was fuelled by his work as a tour guide and trips to Brazil, the US, and Europe into his teenage years. With the mentorship of his godfather: a professional photographer and support of his parents he now works on a limited basis for a variety of musicians, and on weekends works with models to improve his skills. Traveling has always inspired his photography, the wildlife of the Amazon. 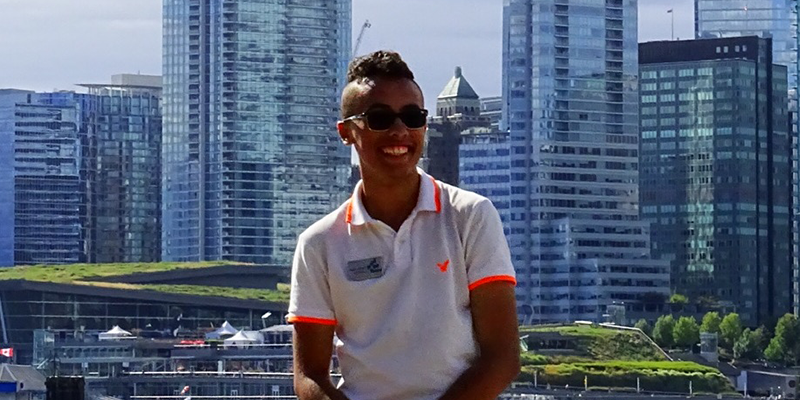 He looks forward to graduating high school this summer and proceeding to the University of Victoria. The presenters are approachable, the presentations are visual and brief, and the kids haven't stopped talking about "their favorites" in the past two days.